This little gown has a dainty shaped lace design at the yoke. 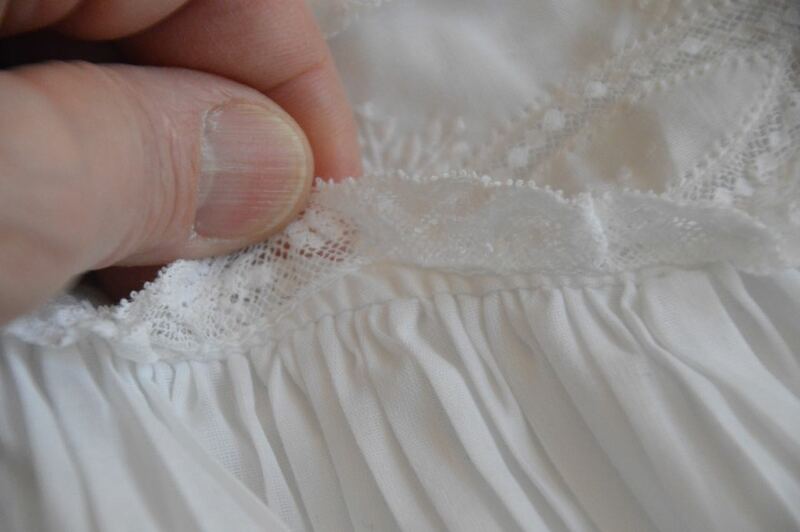 The gathered lace edging appears to follow the shaped lace insertion along the lower edge. But when you peek underneath, you see that it is a round yoke dress and the yoke only seems to follow the shape of the insertion. 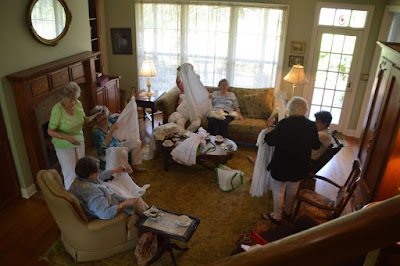 We had great fun passing the gowns around to admire them. 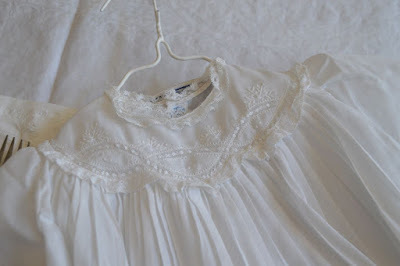 Vintage Baby clothes are such an inspiration to me!